July, 10-15 Baby-Rah owner has been certified by WCF-Assolux at a feline seminar. July, 8 Baby-Rah started registration in Assolux system. June, 8 and 9, 2006 special educational show Assolux, Moscow, DK Voshod. 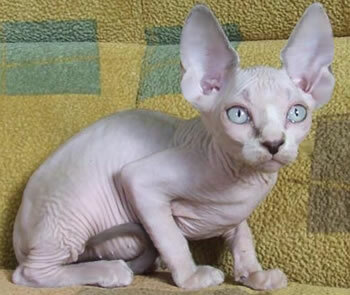 Male-cat Pigmalion has won the 1-st prize in two rings, against 50 other beautiful competitors. The Jury noticed, when one took this cat one wanted to hold it forever. Pigmalion got Inter Champion title. As a result of the two days event he won the 1-st prize "Best Of Best All Breed" among kittens younger than 8 months. Here are some pictures from this show. July, 15 All the pets of Baby-Rah have been medically checked for panleucopinie, mycoplasmosis, IV, leycosis, infective peritonitum, respiratory viral diseases, hlamidea. All the results were negative. 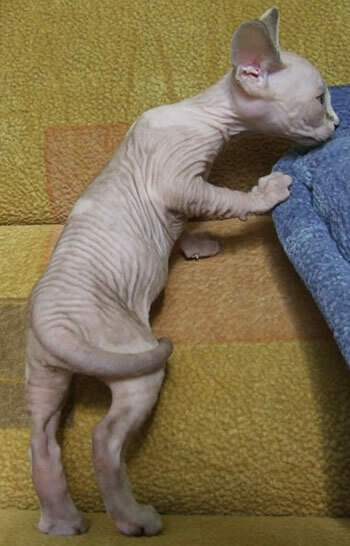 11-th of April kittens of peterbald (mother - Rowless Leaya - father Yeralash) have been happily born. March, the 27. An important event for Baby Rah kattery - there appeared the breed, litter, "A" (Mother Melanippa - father Priam). The newborns - males - are active, strong and put on weight quickly. They all are naked. See the pictures about the kittens. December, 11, 2005 The cattery took part at the Show KLK Moscow. 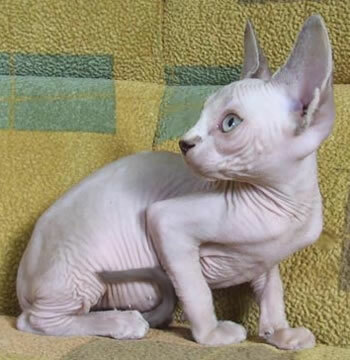 The cat Melanippa got the second CACIB, has been named among the Best (all breeds and races), being at this time the best sphinx.